If you are working on your family’s estate plan to protect your child with special needs, be aware that your other children may need to do some future planning too. As described in a previous blog article on our website, leaving your estate to the sibling of a child with special needs so that the sibling can provide for the child can be very risky. 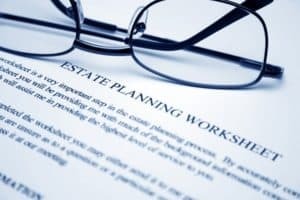 The risk can be managed, to some extent, with appropriate estate planning for the sibling. For example, drafting a will can mitigate the effect of the sibling’s potential death or disability when he is supporting his brother or sister with special needs. Further, the sibling may be able to contribute a portion of the inheritance into a special needs trust to keep it for the child with special needs in the future. Regardless, it is generally recommended that assets be left to a properly drafted and flexible Third Party Special Needs Trust as described in previous blog posts. If the sibling is over age 18, no matter his future responsibilities regarding your child with special needs, encourage him or her to put a simple estate plan in place, including powers of attorney. Furthermore, if he or she has any assets including life insurance through work or begins contributing to a retirement account and wishes that in the event of their passing that those assets go to their sibling with special needs then they will want to make sure that the beneficiary reflects the Third Party Special Needs Trust that the parents have established for their sibling. Your family must plan for the worst – the eventuality that the child with special needs has no living family members or that other family members develop serious medical conditions or have special needs themselves. Have backup (“successor”) guardians and trustees as part of your plan in case the original ones cannot serve. Make sure family members take into account the future needs of the child with special needs, especially if they will be providing care or living with him or her. A little foresight now for siblings of children with special needs can spare a lot of trouble later. Determine whether all of your children have future planning needs by speaking to a qualified attorney.